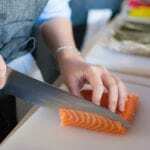 As you may know by now, Wildwood Grilling is a food vendor and sponsor of The Festival at Sandpoint this year. And they have quite the line-up for the 2016 season. For the first Super Saturday, EmmyLou Harris took the stage at Memorial Field – a venue she previously played in the early 90’s. 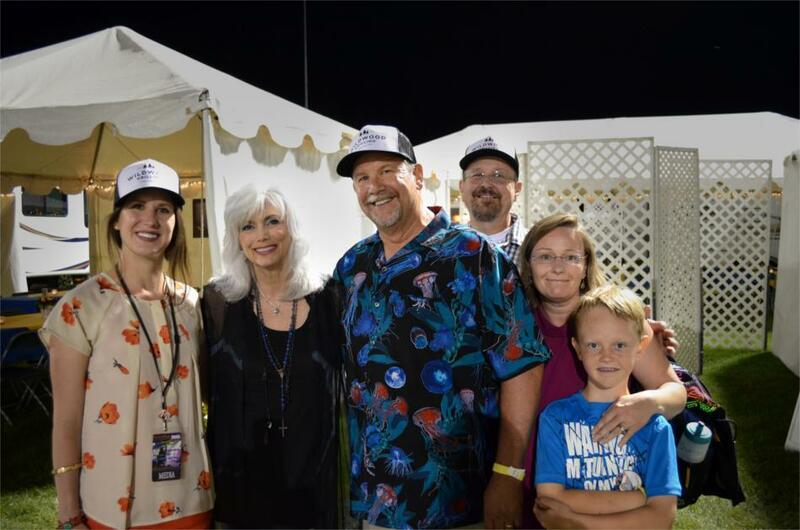 After a great concert, some of our Wildwood Grilling team members had the opportunity to join in a meet-and-greet with EmmyLou Harris. Pictured above with EmmyLou, you see our VP of Sales & Marketing, Katie Bradish, our owner, Ernie Brandt, and our Shipping, Inventory and Warehouse Supervisor, Scott Howard, with his family. 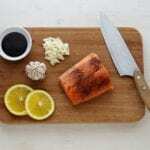 Earlier in the night, EmmyLou had ordered Cedar planked salmon from the Wildwood Grilling booth for dinner. Check out this blog post for more photos from our time at The Festival so far.